Although I love all kinds of needlework, it is no secret that hand embroidery is my passion, and over the years I’ve really enjoyed stitching a number of floral designs. 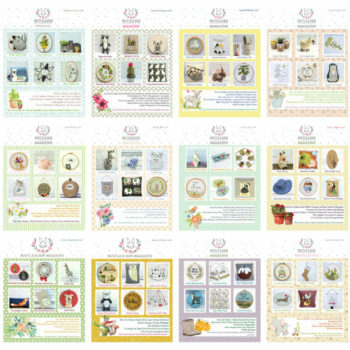 So I thought it would be a nice idea to collect together twelve of my favourite floral hand embroidery projects from the last few years into a new publication for other stitchers to enjoy! All material and floss requirements are given, as well as full instructions for each project, including lots of photographs where these help explain the different stages. The templates are at the back of the book and are all full size – this will mean printing them off and joining pieces together for some of the bigger projects. Please note, this is a digital book and you will not receive anything in the post. You will receive an email with a link to download your easy-to-use pdf file as soon as your order is complete and your book will also be available in your Bustle & Sew online library. 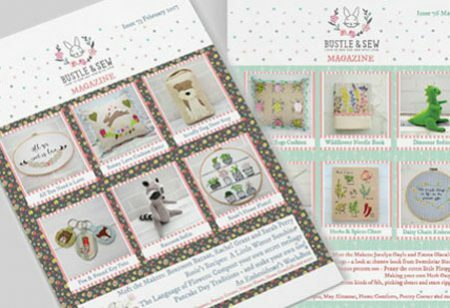 All the projects have previously appeared in the Bustle & Sew Magazine.